April is the Month of the Military Child, a time to honor the more than 1.6 million children of military members serving in the United States and overseas. This year’s recognition arrives on the heels of legislation passed by Congress to help military children and their families thrive. Among its many supports, the Military Family PROTECT Act establishes the first universal home visiting program designed specifically for families in the military. It also speaks to an important principle for all service providers working with military families—embracing military-informed care to better understand military culture and offer more effective services. 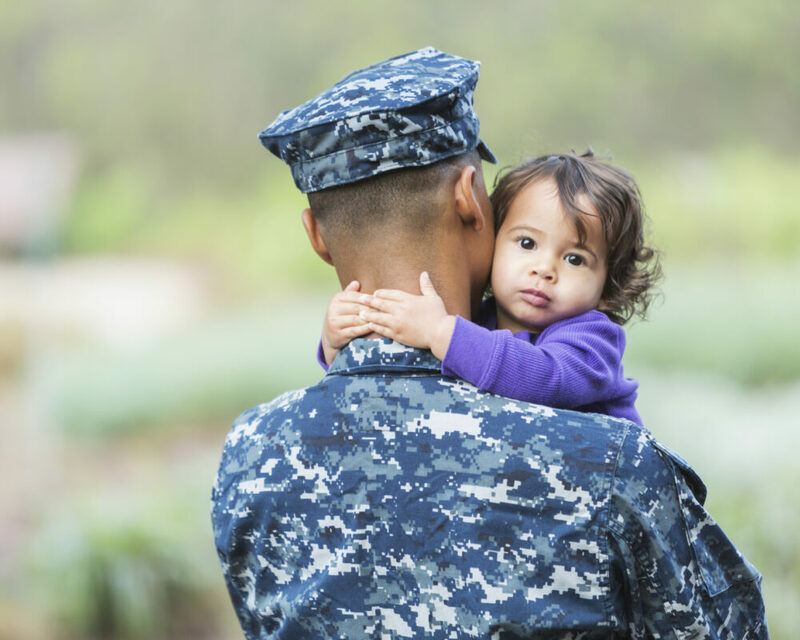 Our latest brief on innovative home visiting programs for military families profiles the pilot program authorized by the Military Family PROTECT Act, along with three other efforts. Military families face unique challenges. Parenting under any circumstances can be challenging. Military families with young children may face experiences that make parenting more difficult. Military parents are younger and less educated, on average, than civilian parents. They also face constant change through cycles of deployment, frequent moves, and shifting family roles and responsibilities when one or both parents is away from home. Home visiting programs are a promising way to help military families manage these challenges, but certain factors can make it difficult to serve them. For example, military families are geographically dispersed, and they are increasingly likely to live away from military bases where many family services are centered. Concerns about confidentiality and mental health stigma are also high, leading some service members or spouses to avoid participating in services. Military-informed care can improve home visiting for military families by tailoring services to their unique needs. Military-informed care is a treatment framework that emphasizes understanding, recognizing, and responding to the unique challenges faced by military families. It stresses practices grounded in familiarity with military culture and lifestyle. For example, providers can be more effective with military populations if they screen for military involvement, complete trainings and access resources on common issues in military life, and verse themselves in military culture and language. This framework complements core home visiting approaches—such as meeting families where they are—to improve family engagement, outcomes, and services. It can inform not only the development of military-specific home visiting models, but also the practices of broader programs seeking to reach military families. Military families are a diverse and resilient population whose needs vary over time and across demographic groups. Supportive policy measures like the Military Family PROTECT Act and other innovative efforts can help home visiting programs reach more military families. Home visiting programs can better serve military families by providing home visitors with training in military-informed care and integrating its principles into program design and practices.